For thousands of families across our community, the holidays are a happy time; filled with parties, pageants and packages. Others, however, have a difficult time getting into the holiday spirit, because they’re among the millions of Americans facing hunger. 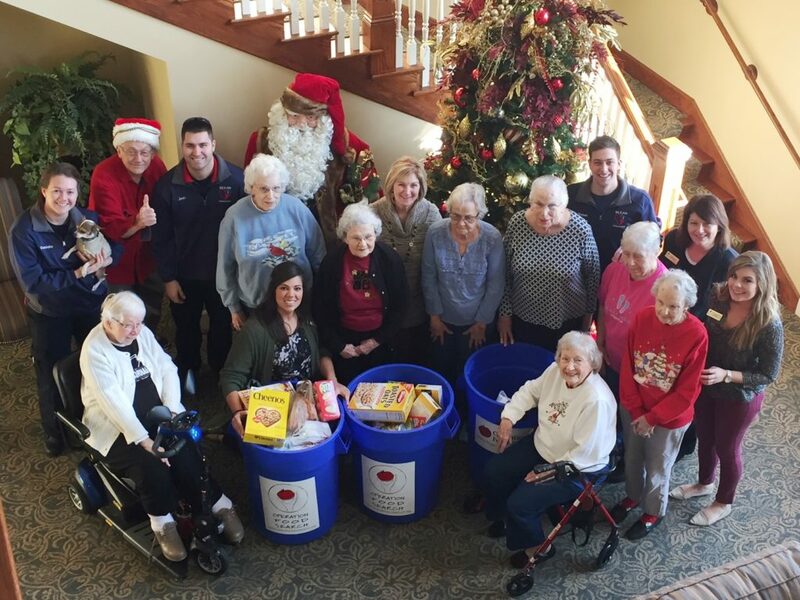 This week, residents at retirement facilities will partner with St. Charles County Ambulance District [SCCAD] Paramedics to ensure that pantry shelves in their community are fully stocked for those in need. The initiative is called ‘Fill the Ambulance with Food’, and it’s been going strong for eight years in St. Charles County. This year, three new senior living communities joined the program, bringing the total to 11. 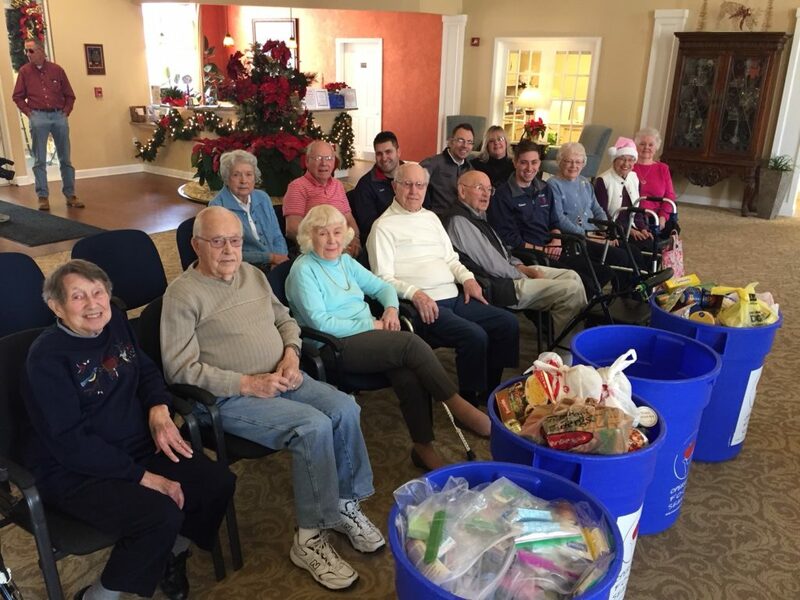 Collectively, the seniors make a big impact for local pantries. 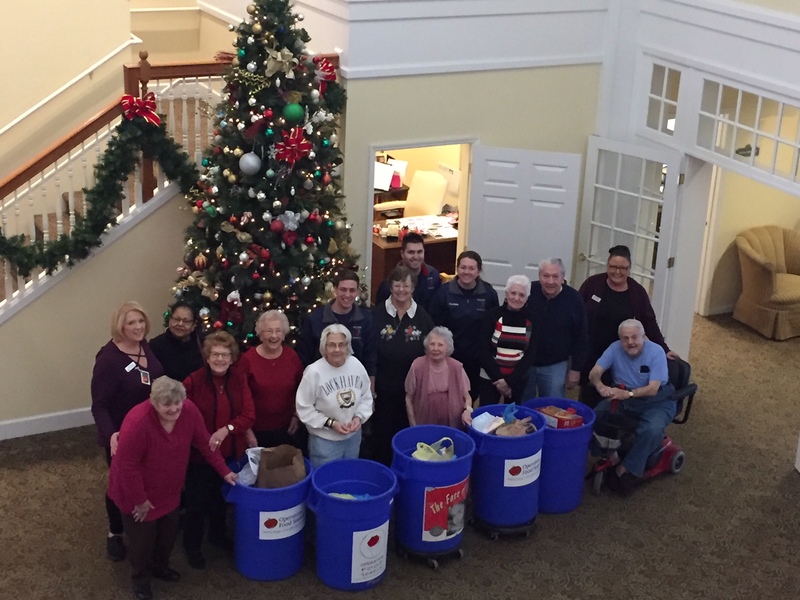 On Wednesday, December 13, SCCAD Paramedics and OFS representatives canvassed the county, traveling to the 11 participating retirement communities to collect the donations seniors stockpiled over the last month. ‘Fill the Ambulance’ was developed in 2010, and since its’ inception, has garnered more than five tons of non-perishable food donations. Retirement communities participating this year were: Twin Oaks at Heritage Pointe, Twin Oaks at Stone Ridge, Lakeridge Senior Apartments, Park Place Senior Living, Garden Villas of O’Fallon, Breeze Park, Lake St. Charles, River’s Edge, Windsor Estates of St. Charles, The Boulevard and Brookdale St. Peters.